NOS R5 front plate, bridgeported by Mazdaspeed in Japan for Tom Walkinshaw. 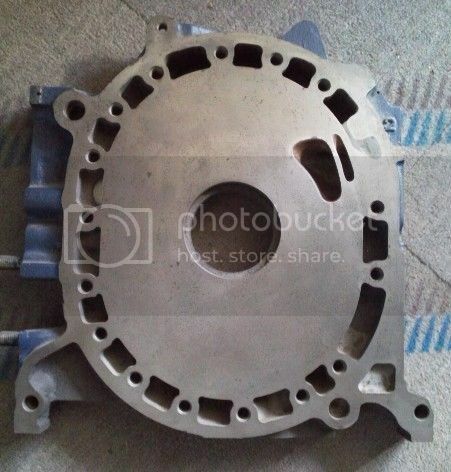 This is a spare plate, identical to the ones used in the 1981 Spa RX7. Well, I think I know who did this steve wonder porting. if I'm wrong.. it's a poor porting from mazdaspeed. TOOL wrote: NOS R5 front plate, bridgeported by Mazdaspeed in Japan for Tom Walkinshaw. This is a spare plate, identical to the ones used in the 1981 Spa RX7. apexheid wrote: Well, I think I know who did this steve wonder porting. if I'm wrong.. it's a poor porting from mazdaspeed. Any reasoning for it being bad porting at all? Looks very similar in shape of the Racing Beat template i used. The benefit in having a plate to use as an example is being able to see the inlet angles used, the template doesn't give you that - only an outline to scribe on the plate. Just my two cents.